The Nigerian Supreme Council for Islamic Affairs (NSCIA) has warned the Nigerian military authorities against plunging the country into another Boko Haram-like insurgency with the repeated attacks on members of the Islamic Movement of Nigeria. In a statement Sunday, the NSCIA said in a statement by its Secretary General, Is-haq Oloyede, that it was shocked and saddened by the fresh outbreak of deadly violence in Zaria‎. Several members of the Islamic Movement of Nigeria were reportedly killed by troops of the Nigerian Army after a confrontation on Saturday in Zaria. The Army also reportedly arrested the leader of the movement, Ibrahim El-Zakzaky, while it also destroyed his home and the spiritual headquarters of his group. “While there are claims and counter-claims on what actually precipitated the latest heart-rending incident,‎ the NSCIA‎ urges the authorities to exercise restraint,” Mr. Oloyede said. He also said the history of the circumstances that engendered the outbreak of militant insurgency in the past, with serious consequences that Nigeria is yet to recover from, should not be allowed to repeat itself. The Boko Haram sect took up arms against the Nigerian state when its leader, Mohammed Yusuf, was extrajudicially murdered by the Nigeria Police. “We urge the Federal Government to immediately constitute a Judicial Commission of Inquiry to thoroughly unravel the immediate and remote causes of the current mayhem. “Besides, the Commission should also investigate the past incidents involving the Movement so that justice can be done,” the NSCIA said. It said the sanctity of human life is inviolable ‎in Islam and painstaking efforts should be made at all times to prevent bloodshed. “In other words, life is sacred and the fundamental responsibility of government is to guarantee the security of life and property. “While no group should be allowed to constitute law unto itself or arrogate unconstitutional powers to itself under any guise, the fact still remains that the position of the law is clear when there is any breach. “Therefore, as order is the first law of heaven, normalcy and restraint should be taken seriously. “May the Almighty Allah guide our leaders right and gu‎ard us Nigerians against our own indiscretion at all times,” the statement said. 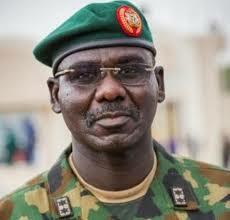 Several persons were killed Saturday afternoon after soldiers opened fire on members of the sect, who they said put up barricades and blocked the road to be used by Army chief, Tukur Buratai. The Army also reportedly returned to the sect’s enclave, known as Husainiyyah, and the residence of Mr. Zakzaky late in the evening. A fresh encounter there led to the death of the immediate members of Mr. Zakzaky’s family and others in the house at the time. Zeenat, the wife of Mr. Zakzaky, and Aliy, his son, were among scores of people killed by the Army during the siege, the group said. There was a similar confrontation between the group and the military in July 2014. Members of the sect were on a procession to mark the annual Quds day in Zaria that day when soldiers reportedly shot at them at the popular PZ roundabout in the city. The crisis started when the soldiers allegedly tried to disperse the sect, which was denouncing Israeli’s attacks on Gaza. Mr. Zakzaky’s three biological sons, Mahmud, Ahmad and Hamid as well as 32 other members of the Islamic Movement were shot dead.